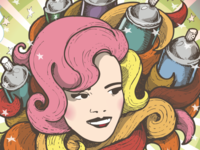 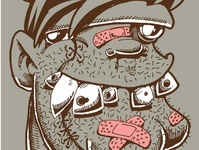 Freelance creative director, illustrator, and troublemaker. 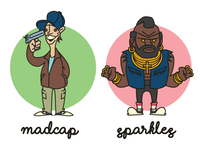 Bootleg A-Team (Madcap and Sparkles) — Characters for a bootleg A-Team animation. 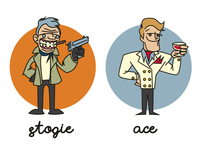 Bootleg A-Team (Stogie and Ace) — Characters for a bootleg A-Team animation. 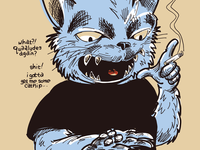 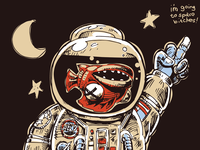 Detail of Quaalude Cat — Detail of a character for an upcoming trading card set. 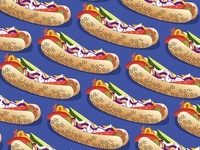 Chicago dog repeating pattern — Another repeating hotdog pattern. 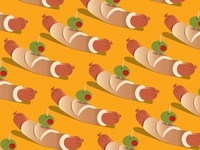 Repeating hotdog and olive pattern — Another hotdog pattern. 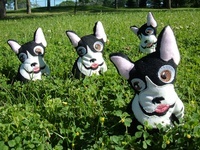 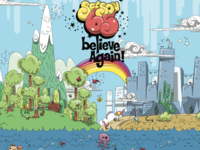 Repeating hotdog pattern — Title speaks for itself. 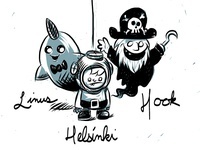 Linus, Helsinki and Hook characters — Characters for a series of children's stories written by my wife. 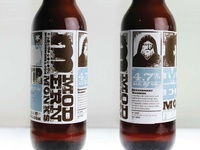 Unused beer branding — Label for unused beer branding. 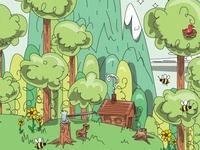 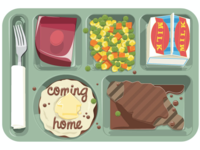 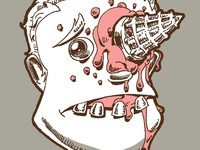 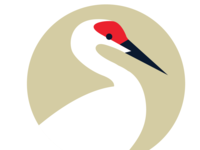 Detail of Community Playhouse poster — Detail of part of the Community Playhouse poster for season 65. 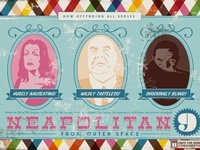 Neapolitan 9 From Outer Space — A poster design for an AIGA Nebraska event. 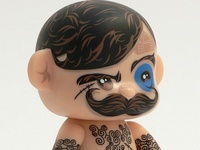 Tobacco Pete Side — A Mini Qee I designed for Toy2R a few years back. 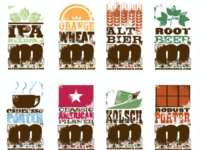 Unused beer branding — Series of labels for an unused beer branding. 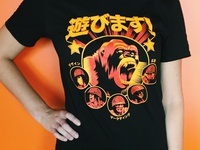 Gorilla Shirt for Play Creative — Final produced shirt of the gorilla illustration.